The sweltering heat and lack of rain we’ve experienced in recent months could help College Station set a dubious record – for water demand. We’re not alone as that scenario is being replayed across Texas. The situation hasn’t led us to mandatory water rationing, but we shouldn’t wait until we reach that point to begin taking proactive measures to conserve water. Water is far too precious a resource to be wasted, and we all should strive to prevent water waste. Efficient water use should always be a concern, not just in a drought. When water utilities get to the point of actually having to ration water – restricting amount or days of water use – that means the situation has become critical. If we conserve before we reach such a crisis, perhaps we can avoid it altogether. Although water demand in March, April and May shattered our previous records, our water supply has kept pace with demand. But with the hottest months still ahead, we can expect the demand to rise. Daily water demand trends are available on the city website, which is updated every weekday. Those big dips on the graph are the rare rain events we’ve enjoyed. In addition to these prohibitions on water waste, we also have a Recommended Watering Schedule that calls for watering only twice per week. City properties, with the exception of athletic fields, are watered according to this twice weekly schedule (Mondays and Fridays for commercial properties), always before 10 a.m. or after 6 p.m. 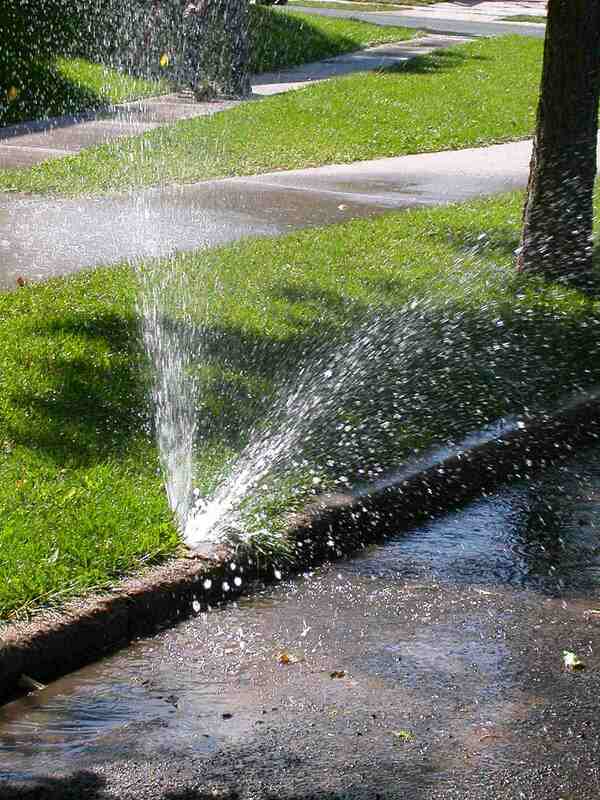 If you see a city property being watered outside of these days and times, please report it so we can fix it. This time of exceptional drought requires us all to be exceptional in our efforts to use water as efficiently as possible. To learn more about how to conserve water, check out the city website or email me. This entry was posted on July 6, 2011 by City of College Station. It was filed under Water Services and was tagged with conservation, drought, water.